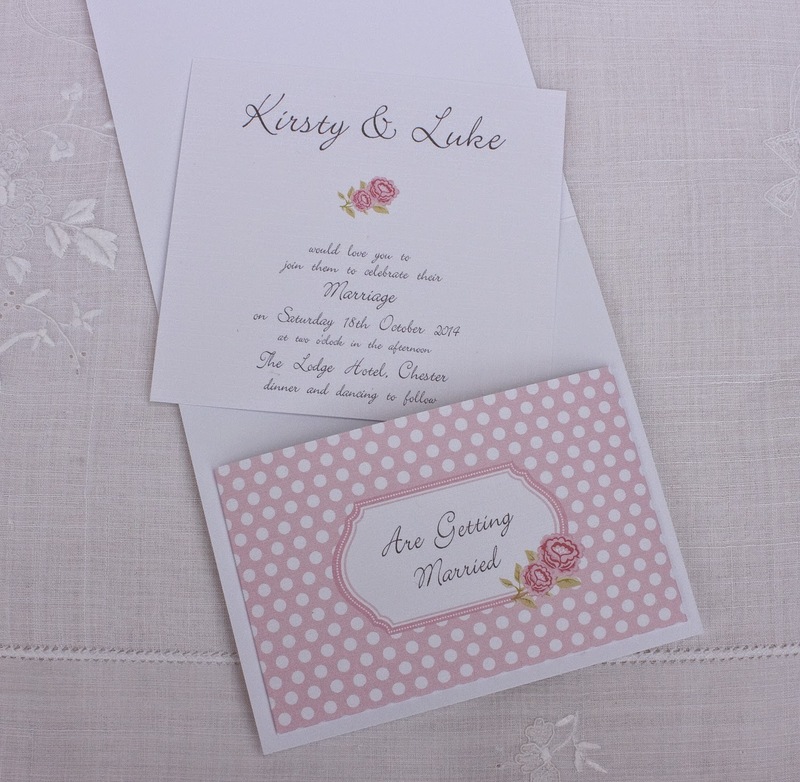 Here is an invitation design for fans of vintage or shabby chic. 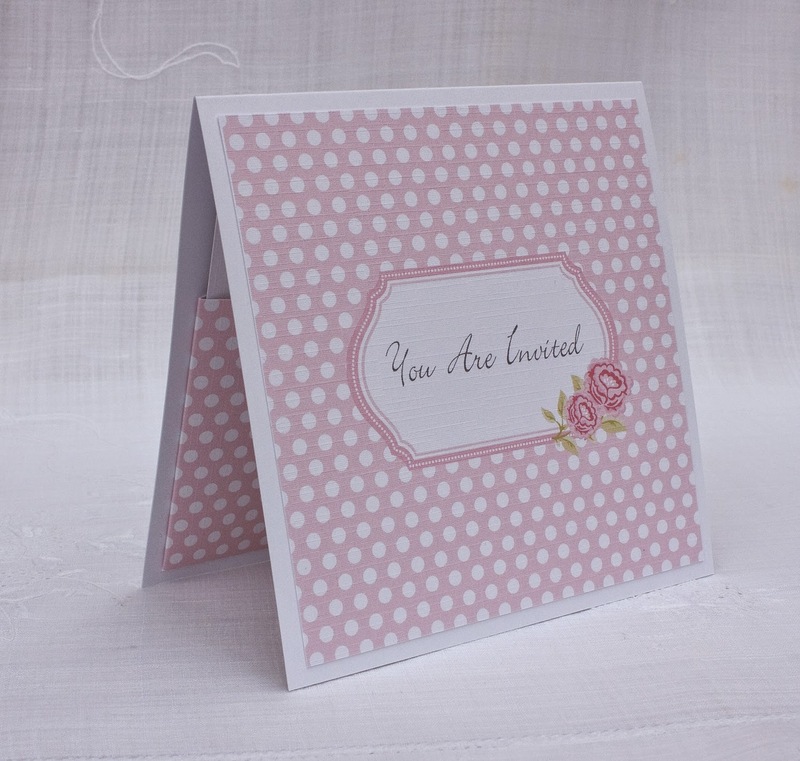 It's a pocket style invitation, which can hold not only the invitation itself, but you could add any additional details or RSVP cards etc in the pocket. 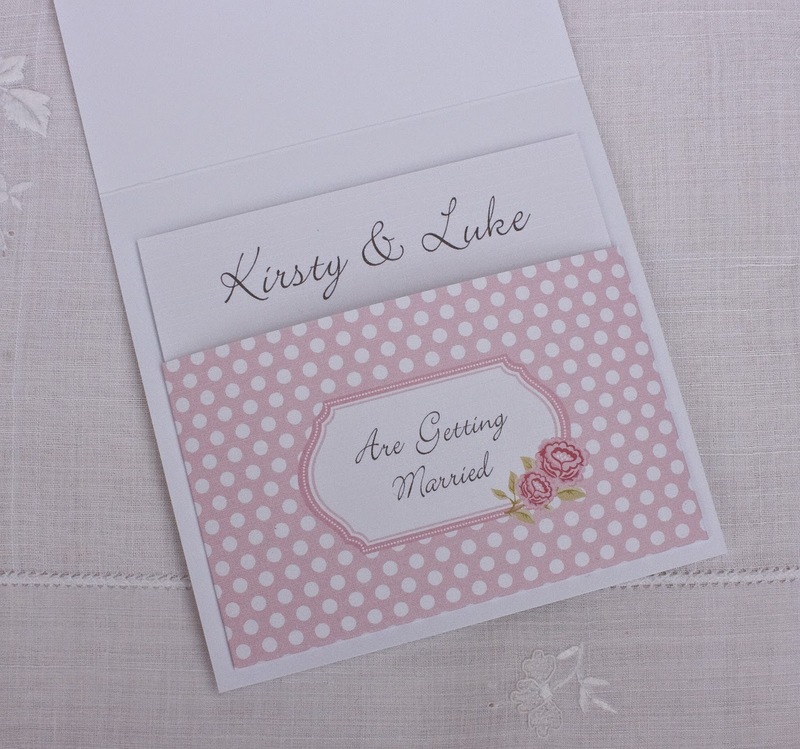 The design is printed on white linen effect card and mounted onto plain white card to compliment the texture. The colour scheme can be changed to suit, sky blue or mint green instead of pink could be just as fun and gives that summer fayre or grand picnic feeling.